A recent article in the New York Times entitled “New Rules to Limit Tactics on Hospitals’ Fee Collections” by Robert Pear ( January 11, 2015 ) examines how rules enacted by the Federal government under the Affordable Care Act will put limits on fees charged and collection efforts for unpaid invoices. The rules pertain exclusively to nonprofit hospitals, but may in fact effect the behavior of for profit hospitals as well. What is a nonprofit hospital? A nonprofit hospital is a facility that provides services and benefits to its community usually in the form of charity care. In exchange the nonprofit pays no federal, state, local, property or income taxes. Any profits generated are retained by the nonprofit for operations and care. A for profit hospital operates as a corporation. It pays taxes and, if it generates a profit, returns the profit to its shareholders as a dividend. It has no legal obligation to function as a charity or to provide care to the indigent. Prior to the issuance of these new regulations on December 31, hospitals operated under their own version of frequent flier rules. People who were insured by federal or private insurance (the frequent fliers) paid through their insurance coverage a lower amount than the uninsured did for the same service. In other words, the uninsured paid the list price and the insured got a discount. That has all changed and now the fees charged by the nonprofit to the uninsured patient has to be substantially the same as those charged to the insured. In addition, the regulations put some constraints on the collection efforts used by the hospitals to collect these unpaid amounts due from the uninsured. In point of fact, the author points out that the for profit hospitals will probably in some manner follow the same regulations. The reason is that another federal agency, the Consumer Financial Protection Bureau, which is responsible for supervising debt collection, has endorsed them as well. Thus, in this case the ACA is helping to lower the cost of health care and also shield the uninsured consumer of health care from onerous debt collection efforts. Now for the other side of the coin: A new book, America’s Bitter Pill by Steven Brill, was the subject of a 60 Minutes segment on CBS. Mr. Brill makes the case that ObamaCare missed the opportunity to control healthcare costs and, in fact, will, all things being equal, increase the cost. Although the price of health (hospital) care in the United States is about 5 times as much as that in the other industrial countries, Brill argues that Obamacare will lead hospitals to charge the ultimate consumer (patient) even more than they do at the present. When you buy a car or any other item, you negotiate the price with the seller and know the price you are paying before you take delivery. 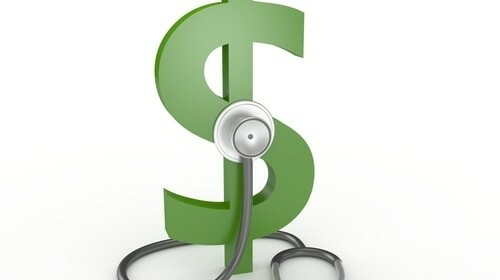 Health care is one item where the consumer buys but does not usually know the price they are paying. The consumer (patient) is shielded by the intervening government or private insurance program which has independently negotiated the price directly with the hospital. However, the consumer still gets to pay the bill through higher taxes, premiums, copayments and deductibles. The author argues that Obamacare increases taxpayer subsidies to hospitals by about $40,000,000,000 per year. Thus, hospitals have less incentive to keep costs down as the government is there to bail them out if they spend too much. Secondly, the creation of Obamacare-created ACOs (Accountable Care Organizations) encourages merges and consolidation of the hospital industry and, therefore, gives the hospitals more leverage to charge higher prices. So, if someone asks you the following multiple choice question: What effect does ObamaCare have on the cost of health insurance? Remember, the correct answer is c!